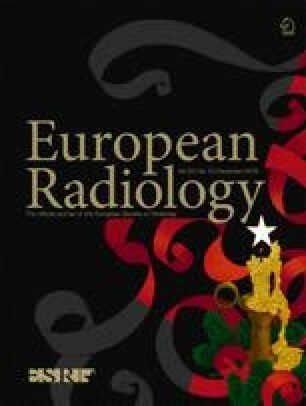 This study compared the diagnostic performance of intravoxel incoherent motion (IVIM) in magnetic resonance imaging (MRI) and acoustic radiation force impulse imaging (ARFI) in ultrasound (US) for liver fibrosis (LF) evaluation. A total of 49 patients scheduled for liver surgery were recruited. LF in the non-tumorous liver parenchyma at the right lobe was estimated using a slow diffusion coefficient, fast diffusion coefficient (D fast), perfusion fraction (f) of the IVIM parameters, the total apparent diffusion coefficient of conventional diffusion-weighted imaging and the shear wave velocity (Vs) of ARFI. LF was graded using the Metavir scoring system on histological examination. The Spearman rank correlation coefficient for correlation and analysis of variance was used for determining difference. The diagnostic performance was compared using receiver operating characteristic curve analysis. LF exhibited significant correlation with the three parameters D fast, f, and Vs (r = −0.528, −0.337, and 0.481, respectively, P < 0.05). The D fast values in the F4 group were significantly lower than those in the F0, F1 and F2 groups. D fast exhibited a non-inferior performance for diagnosing all fibrosis grades compared with that of Vs. Both IVIM and ARFI provide reliable estimations for the noninvasive assessment of LF. • Liver fibrosis can be diagnosed and graded using noninvasive imaging modalities. • ARFI and IVIM can be incorporated into routine examinations. • IVIM can differentiate liver cirrhosis from none to moderate liver fibrosis. • The diagnostic performances of IVIM and ARFI are equal. Ming-Chih Ho and Tiffany Ting-Fang Shih contributed equally to this work. The scientific guarantor of this publication is Tiffany Ting-Fang Shih. The authors of this manuscript declare no relationships with any companies whose products or services may be related to the subject matter of the article. The authors state that this work has not received any funding. No complex statistical methods were necessary for this paper. Institutional review board approval was obtained. Written informed consent was obtained from all subjects (patients) in this study. Methodology: prospective, cross sectional study, performed at one institution.